Sens. 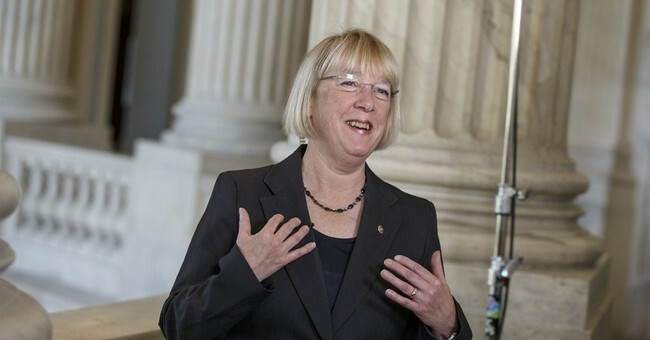 Patty Murray and Maria Cantwell of Washington State yesterday urged House Speaker John Boehner to bring a reauthorization of the Export-Import Bank to a vote in the House. "We see no reason for members of either party to waver in their support" for the Ex-Im bank, the senators wrote. Sens. Murray and Cantwell, of course, would have a difficult time seeing through the corporatist protectionism that helps their state at the expense of American consumers. Boeing Commercial Airplanes is headquartered in Washington State - and Boeing is one of the largest recipients of the protectionism that the Ex-Im Bank affords. In fact, Boeing's very creditworthiness as a company is at stake in the fight over Ex-Im. Sens. Patty Murray and Maria Cantwell are also major recipients of Boeing cash. Murray was the #1 recipient of Boeing campaign cash in the 2010 election cycle, raking in over $87,000 from the corporate giant for her Senate campaign. Cantwell was the top congressional recipient of Boeing money in 2012. Of course, if you peruse those lists of campaign recipients from Boeing, you'll find that taking money from Boeing isn't a partisan activity; the airline manufacturer has given about equally to both Democrats and Republicans. The Bank has been often been referred to as a reverse Robin Hood, distributing wealth to large companies that use their influence and lobbyists to secure favorable financial packages. This practice is not only unfair, but it is also a danger to our free market economy. The Bank effectively gives the U.S. government the power to intrude into free markets and unilaterally provide companies with monetary advantages over their competitors. This aids bad companies, such as Enron, and Solyndra, and often has damaging unintended consequences on healthy American employers. Take, for example, Boeing, which receives the lion’s share of Ex-Im’s loans. This successful American company has been the benefactor of much of Ex-Im’s largesse, sometimes receiving more than $12 billion a year. And while this is fantastic for Boeing and its shareholders, these loans wreak havoc on the entire American airline industry and its workers. So while those Democratic senators from Washington State push for Ex-Im reauthorization, remember that they're not exactly neutral observers watching out for what's best for the American people. Patty Murray and Maria Cantwell have a dog in this fight, and that dog's name is Boeing.